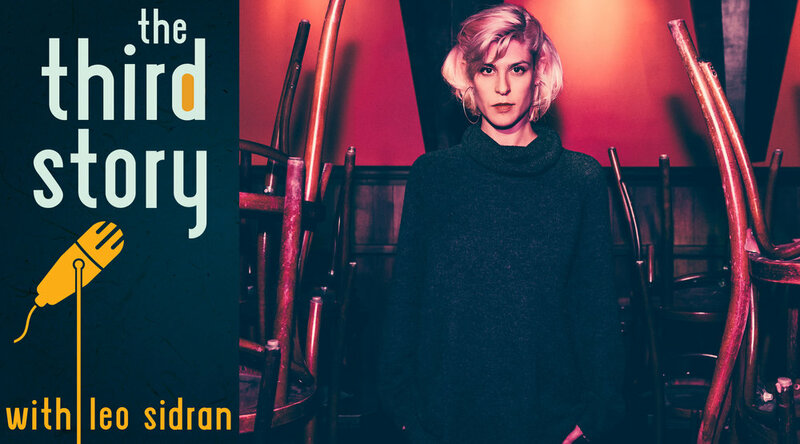 Rapper, singer, spoken word artist, writer, and science nerd Dessa on sharing secrets, brain plasticity, hip hop culture, Dorothy Parker, social media, choosing beats, collective composition, and about a hundred other subjects. Writer Lorrie Moore on a lifetime of writing, how she thinks about teaching, what makes music the ultimate art form, and why fiction writers make bad liars. Four years and 100 episodes later, I’m still going. What a trip. This week, I take a moment to reflect with one of the most surprising and flattering guest hosts I’ve ever had: my wife, Amanda. To call Larry “Ratso” Sloman a writer is not at all inaccurate - he is a writer. But he’s so much more. Sloman perfected the art of hanging out and he turned that art into a career. Here he talks about how studying sociology influenced his thinking and gave him a way to be inside the revolution and outside at the same time. Singer Achinoam Nini (Noa) and guitarist Gil Dor on their nearly 30 year long creative partnership, how popular culture has developed in Israel, how they handle the responsibility of their success in such a politicized and charged atmosphere. Multi instrumentalist Louis Cato on the difference between making music in church and playing secular music, what it means to “learn what you already know” and how surviving a terrible tour-bus accident changed his outlook on life and music. 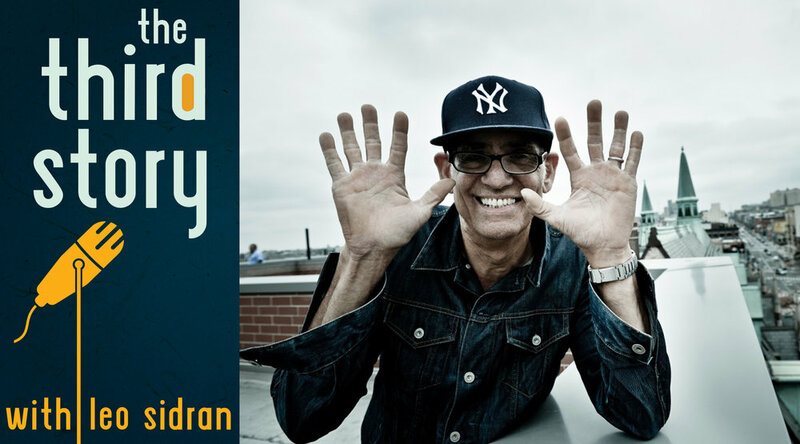 Drummer Liberty DeVitto on on his journey from restless funny kid to veteran hit maker, what makes him a “New York style drummer”, and what it was like to play on every Billy Joel hit. Plus we raise the important questions, like do we choose to be musicians because we’re nuts, or does becoming a musician makes us nuts? Guitarist, bandleader, and label Jon Madof owner talks about how music and spirituality are related, what it means to create your own kind of authenticity, the difference between a job and a mission, and whether or not an artist’s work can be separated from their personal behavior. Singer, songwriter, and illustrator Nadia Ackerman’s journey started in Australia. But early on, she knew she was leaving, and she was pretty sure America was the destination. What she didn’t realize is that she had brought a dark part of her past with her on the journey, and it wasn’t until years later that she came to terms with what had sent her running in the first place. 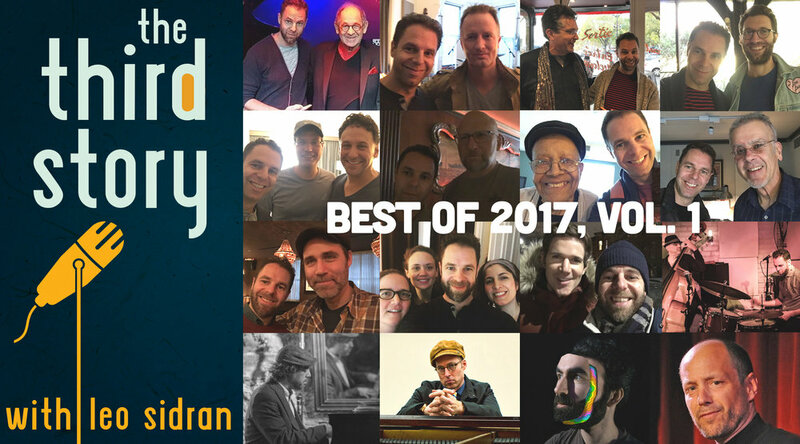 In this, the second of a two part best of 2017 series, fragments of various episodes are strung together in order to tease out the big ideas, the underlying themes, and the tiny obsessions that have been propelling the podcast all year. I think we can all agree that 2017 was an unusual year. It was intense, confusing, emotional. A little less than a year ago, as I decided to resume another “season” of episodes, I was determined to focus on community and on positivity through art and creative expression. With the benefit of even just a little bit of hindsight, I can see that indeed the theme of community informed the journey this year. Clifford Irving was a great writer, and a great character. Although he published 20 novels, he was probably best known for a hoax "autobiography" allegedly written as told to Irving by billionaire recluse Howard Hughes. By the time I met Clifford, he was a gentle old man. We talked during the winter of 2016 about his life, his career, and his general world view. Clifford passed away on December 19. This episode was originally posted in 2016. Laura García Lorca grew up between two worlds. She spent her childhood in New York City, and to this day she considers herself to be a New Yorker. But America was always meant to be a temporary home for her parents, an exile from the Franco dictatorship that drove her family out of Spain. 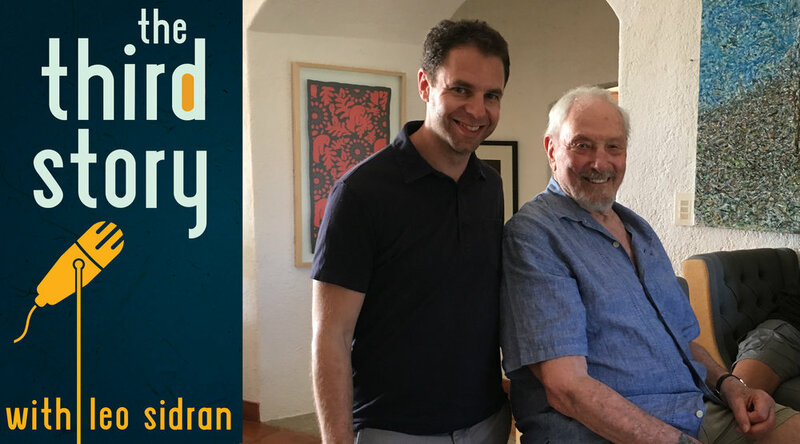 Here she talks about her ongoing negotiation between American and Spanish identities, the way exile operates in her life, and what it means to manage a legacy. The tradition of American expatriate jazz musicians in Europe goes back a hundred years. What leads musicians to move halfway across the world to a place where they don’t speak the language, hold no currency, and are strangers? Love, what else? Bassist Peter Giron and trumpeter Andrew Crocker went to France with little or no understanding of what they were getting themselves into other than the desire to be with a woman, and maybe a sense that they didn’t fully fit where they came from. That was 30 years ago. Today they are not so much expatriates as they are immigrants. Ralph Simon is on a relentless quest. What is he in search of? The next thing in technology and entertainment. He might say it's something like "the next undiscovered young virtuosic talent" or "the latest in mobile and device innovation". Over the last 20 years, Ralph has become a recognizable face in the mobile space, seemingly obsessed with the way mobile technology and content influence popular culture. At his core, Ralph loves a good hit. He is popularly known as the ‘Father of the Ring Tone.’ His ability to find a hit, to create opportunity and add value to the creative class started long before the word mobile was a noun. Here, he outlines that journey. Leah Siegel made a commitment to live an artful life, "to be creative, to live inspired." Early on, she found her voice. A powerful, soul stirring, timeless singing voice that moved people and put her in touch with a "natural empathy". Here Leah tries to process the loss of her close friend, Tim Luntzel, and explains the impact of his death on her life, and questions what it means to have a good death. Theo Katzman is many things. An only child. The youngest of four. An earnest singer songwriter with a deep love of classic rock and a great turn of phrase. A funky groove machine in one of the most talked about funk-soul bands around. Here we talk Vulfpeck, Ann Arbor, Heartbreak Hits, Bob Dorough, Steely Dan, Long Island, Meditation, keeping a daily writing practice, what to eat on the road, and what's the deal with Plain Jane Heroine anyway. 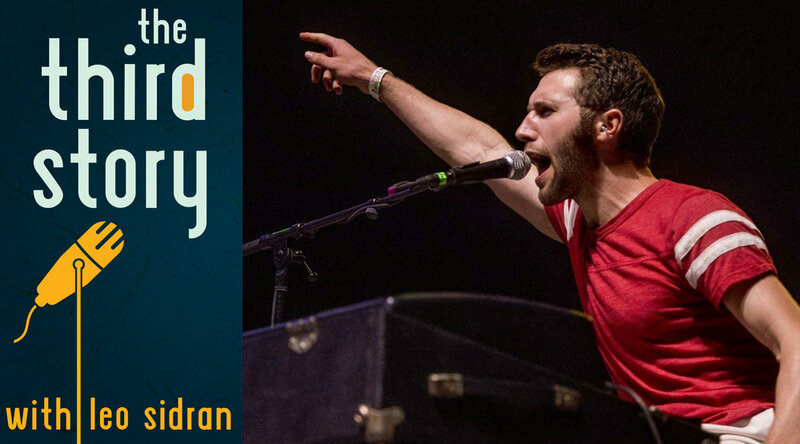 In this rare extended conversation recorded in his childhood home in Cleveland, Ohio, Jack Stratton of Vulfpeck talks about growing up playing in a Klezmer band, creating Vulf, and why no one's looking up. The fourth and final episode in the Settling the Underscore series, exploring music for advertising. Finally, after weeks of talking to composers, producers and editors, we hear from the musicians who made the glory days of the jingle business what they were. Bassist Will Lee, keyboard player Rob Mounsey, and guitar player Steve Khan. All three were part of a generation of players on the New York session scene in the 1970s and 1980s, sometimes playing on multiple projects every day. In this third installment in a series of episodes about music in advertising former advertising executive Ken Yagoda, commercial music producer Mike Boris, and editor Maury Loeb layout the business from the advertising agency and editorial point of view, and explain who influences the music that gets chosen, how the business has changed and what the future holds.